JERUSALEM (AP) — The U.S. has deployed a highly advanced missile defense system in Israel for the first time, the American and Israeli militaries announced Monday, reflecting their shared concerns about Iran’s development of powerful missiles. Lt. Col. Jonathan Conricus, an Israeli army spokesman, told reporters that a THAAD battery, flown in from the U.S. and Europe, arrived Monday at an air force base in southern Israel. He said that the defense battery has only been installed a few times elsewhere in the world, and tested the U.S. ability to carry out accelerated deployment of such powerful and complex weapons. Israel already has an advanced multi-layered missile defense system, capable of intercepting everything from advanced guided long-range missiles outside the atmosphere to short-range unguided rockets fired from neighboring Gaza. During this week’s drill, the THAAD battery, which shoots down long and intermediate range missiles, will bolster Israel’s existing systems. 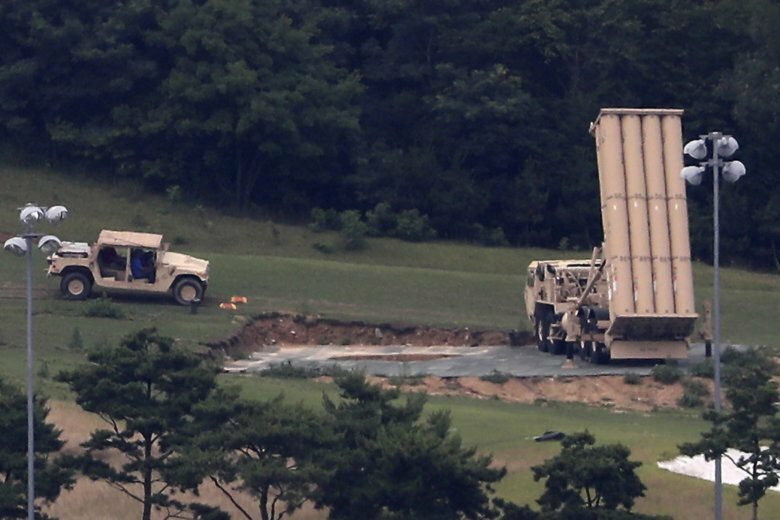 The deployment is temporary, and for now, the THAAD system will not be permanently integrated into the Israeli defense shield, Conricus said. Conricus described the deployment as a defensive drill unrelated to current developments in the region, but it comes amid tensions with Iran and its Lebanese proxy Hezbollah. Earlier this year, tensions nearly escalated into a confrontation between the longtime foes when Israel struck Iranian military targets in Syria in retaliation for Iran launching a missile from Damascus toward northern Israel. The Iranian missile was successfully intercepted by Israel’s defensive shield. Israeli officials have repeatedly raised concerns about Iran’s development of long-range missiles as well as Hezbollah’s vast arsenal of rockets and missiles in neighboring Lebanon.